We explain what unit fractions are and why children need to understand the concept of unit fractions before moving onto more advanced fractions learning. 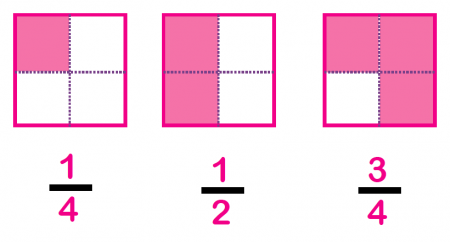 When finding a fraction of a number, such as 1/4 of 12, children in Year 3 are taught that they need to divide the number 12 by the denominator (bottom number) of the fraction. So 1/4 of 12 is 12 ÷ 4, which equals 3. This learning then moves onto finding fractions of quantities (such as 4/5 of 20 or 2/3 of 18, etc.) so it is important that children understand the concept of unit fractions and are able to calculate with them before moving onto this more advanced learning.